× 5 = 15 Required Please enter the correct value. The Dow Jones Industrial Average jumped a 170-point gain in pre-market hours on news that the United States and Canada have reached an agreement to amend NAFTA. The key developments are that U.S. farmers will now have greater access to Canada's dairy market, while the United States will scale down auto tariffs against Canadian imports. According to reports, the U.S., Mexico, and Canada will sign the deal by the end of November. Congress will then need to approve the renegotiated deal. Get an exclusive look at what's going on in the markets at the start of each day. Automotive stocks led this morning's rally. Shares of Ford Motor Co. (NYSE: F) and General Motors Co. (NYSE: GM) are leasing the markets higher this morning thanks to the NAFTA deal. Meanwhile, Boeing Co. (NYSE: BA) and Caterpillar Inc. (NYSE: CAT) both added about 1% this morning. Now here's a closer look at today's Money Morning insight, the most important market events, and stocks to watch. 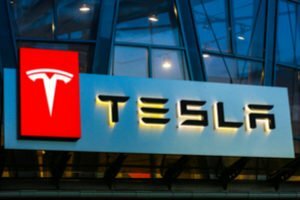 The SEC announced it has settled its suit against Tesla Inc. (NASDAQ: TSLA) founder and CEO Elon Musk. According to the settlement, Musk will remain CEO but will give up his role of Board Chair and pay a $20 million fine. The settlement comes from an event in August when Musk tweeted he secured financing to take Telsa private. The SEC says that these claims were "False and misleading." Musk also failed to properly notify the SEC about material company events. Shares of TSLA were up 15% this morning after a massive sell-off on Friday. On Wednesday, Sept. 26, you were introduced to the most talented individual this industry has ever seen. His name is Tim, and over the last five years, he's issued 119 trades with 0 realized losses. All of his 32 closed positions have been winners. And as of Aug. 8, 85 of his 87 open positions are up in price. Get an exclusive invitation to meet Tim before everyone else right here. General Electric Co. (NYSE: GE) has ousted its CEO John Flannery. Shares are up more than 10% as investors celebrated the news. GE has been mired in a slump, particularly its turbine business. The firm's new CEO is H. Lawrence Culp, Jr., the former CEO of the industrial firm Danaher. Shares of LendingClub Corp. (NYSE: LC) are under pressure after the SEC charged one of the firm's divisions with mishandling client money. This weekend, the firm reached a settlement with regulators on charges that the firm inflated its revenue and made changes to products to make the firm look healthier than it is. As a result, the firm's board of directors forced CEO Renaud Laplanche to resign. Goldman Sachs Group Inc. (NYSE: GS) has replaced CEO Lloyd Blankfein, who has stepped down after more than a decade at the helm at one of Wall Street's most iconic banks. David Solomon – who has previously served as the firm's president and COO – will now bet the new CEO. His tenure begins at a tough time for Goldman as the bank struggles with lower trading desk revenues. Look for earnings reports today from Cal-Maine Foods Inc. (NASDAQ: CALM) and Xcerra Corp. (NASDAQ: XCRA).